Many are content to let a stump sit in their yard after a tree has been cut down. A stump that is left in the ground becomes a tripping hazard and can become a home to dangerous animals and insects. Allowing the stump to remain is not an option. Exposed stumps take away from the curb appeal of your home and can pose a threat to the blades of your lawn mower. Pulling the stump out of the ground is dangerous and chemicals can sometimes take years to work completely. Did you know that the landfills will not take tree stumps. It’s up to the property owner to destroy the stump and have it disposed of properly. Why bother? You’ll spend more in equipment rentals than just hiring us! Our stump grinding method that removes the entire stump leaving you an area ready to be landscaped. 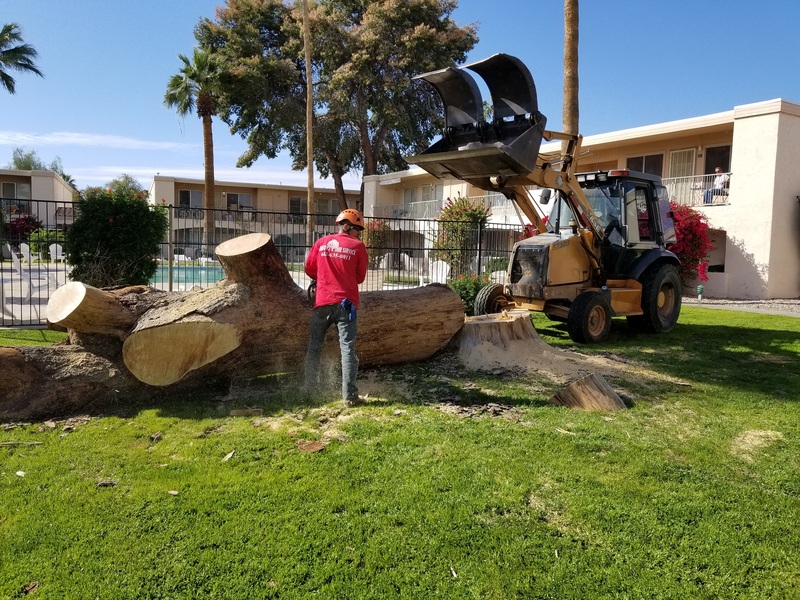 We grind the stump up into wood chips that can be used as accents in your lawn’s landscaping, adding color while enhancing its aesthetic appeal. We grind the stump right down to the roots and prevent the tree from growing back. 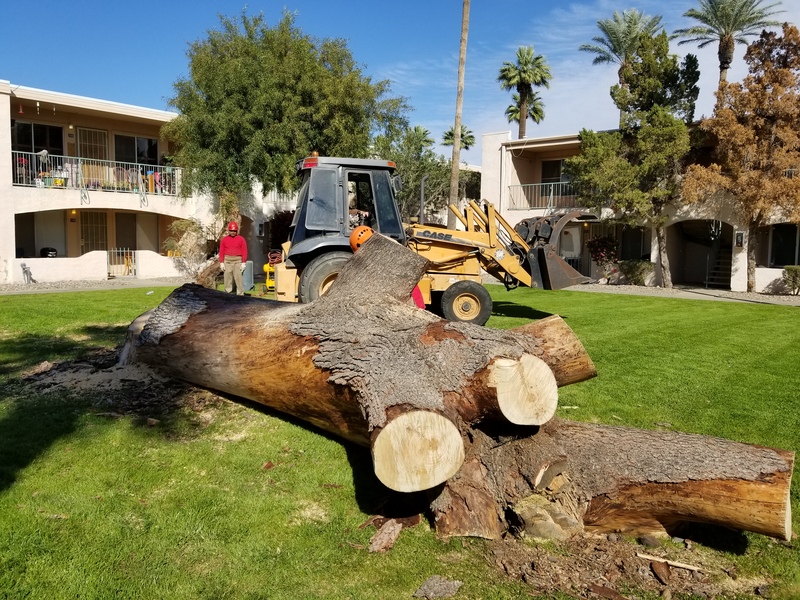 We will not disturb the area surrounding the stump, and we’ll leave your lawn looking pristine and ready for landscaping. Want to have your Stump Grinded?